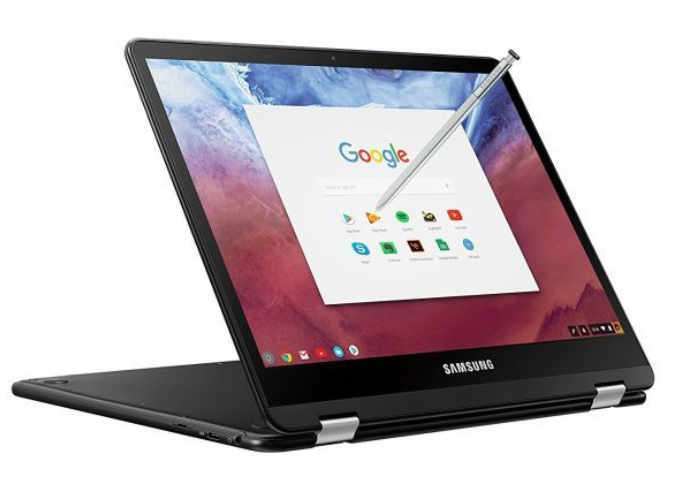 Following on from their unveiling back in January 2017 during this year’s Consumer Electronics Show (CES), Samsung has now made available the Samsung Chromebook Pro to pre-order with prices starting from $550. Now available from online retailers such as Amazon the 12.3 inch Chromebook Pro offers users touchscreen display providing a resolution of 2400 x 1600 pixels powered by an Intel Core M3-6Y30 processor, supported by 4GB of RAM, 32GB of built-in storage, and support for Samsung’s built-in stylus. The official release date of the new Samsung Chromebook Pro convertible notebook is listed on the Amazon website as may the 28th, but this has not been confirmed by Samsung as yet. As soon as more details are made available we will keep you up-to-date as always, expect the Chromebook Pro to also be made available throughout the UK and Europe imminently.